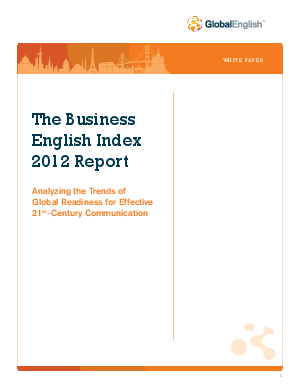 Which industries have the worst Business English? Would it surprise you to learn that Professional Services is at the top of the spectrum and Education at the bottom? In over a third of countries surveyed, the average worker scored under 4.0 on the BEI—that's just basic phone skills—which translates into a workforce that is unable to meet the performance demands of today's global economy. Employees in Latin America, the Middle East, Africa and Japan continue to struggle, but Europe and Asia are pulling ahead.